This year’s Big Game could be looking very good for us New Englanders! Our team has done so well thus far, and I have confidence that they could win the next game that would determine if they head to the game of all games. 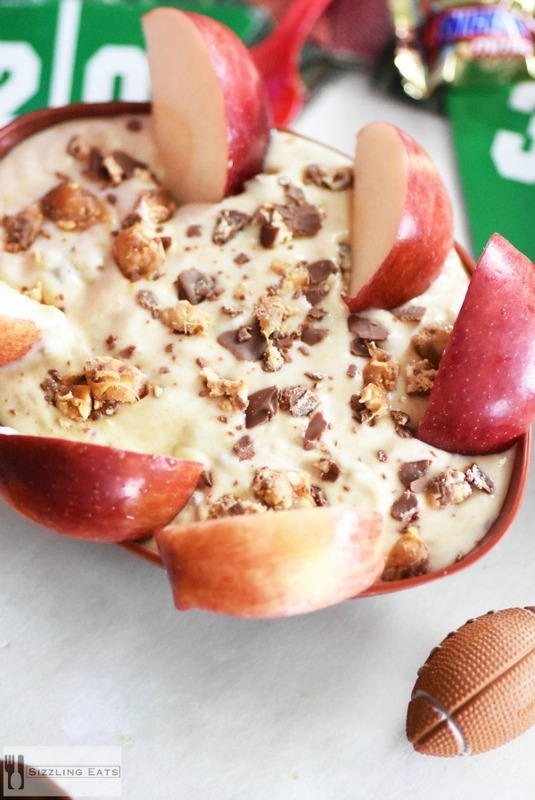 To celebrate our teams success, I have been planning my Big Game snacks menu, and I am thinking this Snickers® Blitz Dip with Apples has officially made it to my menu. Every year, I have a daytime football themed party that features yummy sweet and savory appetizers and snacks. While I am much more of a savory, and salty fan, my husband prefers sweet things. Regardless, all of the snacks and appetizers I make must be easy and not hard to prepare ahead of time. 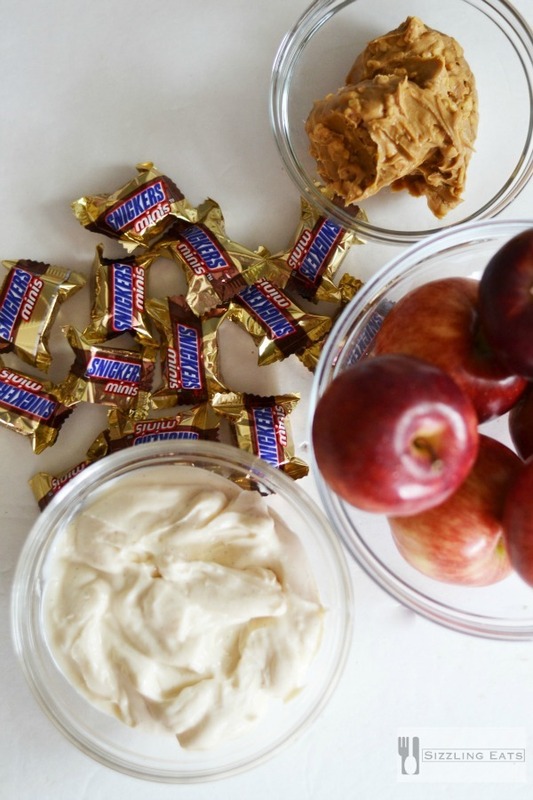 That is why I am loving the simplicity, and taste of this Snickers® Blitz Dip with Apples. I recently visited my favorite Albertson’s division food store which happens to be Shaw’s. I shop there weekly because their prices are right, and they literally have everything under one roof that one could need for Big Game party preparation. From Snickers® to Pepsi and Tostitos; Shaw’s has all the tastiest Big Game foods and drinks. During my last grocery shop, I started picking up some game day essentials like Pepsi, Skittles, Snickers® Minis, and some party paperware to prepare. Since I was making the Snickers® Blitz Dip, I also picked up some Greek yogurt, fresh apples, and crunchy peanut butter. This dip can be made ahead of time so it is ideal for bringing to a game time party, or serving to your guests. I found the recipe here complements of Mars®. 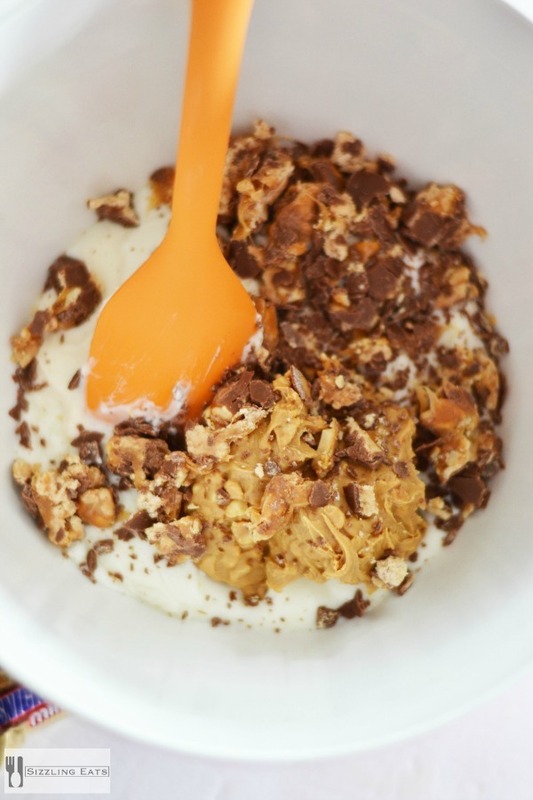 In a large bowl, whisk together peanut butter, and yogurt. Stir in chopped Snickers®. 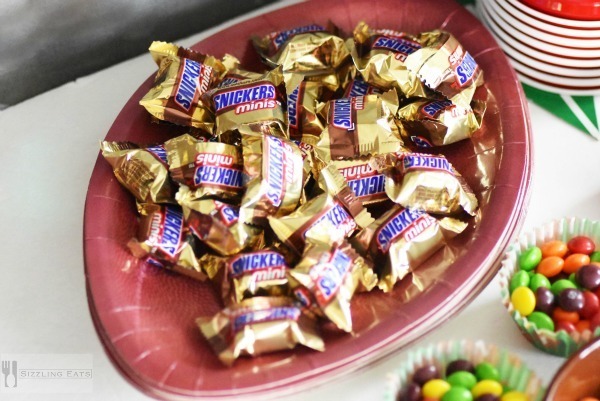 You can also reserve some extra Snickers® pieces for the top of the dip as garnishment. Serve with wafers, or apple slices. Doesn’t this look fantastic? It was so delish and surprisingly easy to make! 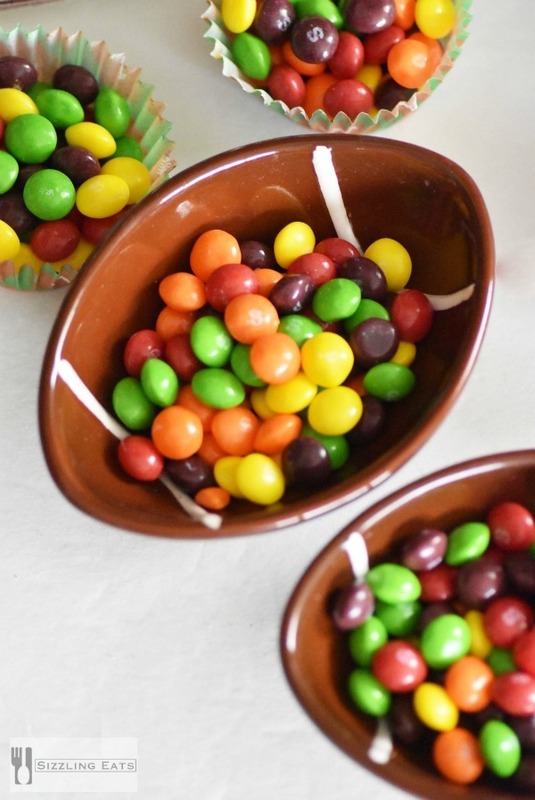 I also served up some Skittles® in little football bowls to add a bright and colorful pop to my Big Game sweet station. For drinks, I will have lots of Pepsi, water, and maybe some juice for the kiddos. 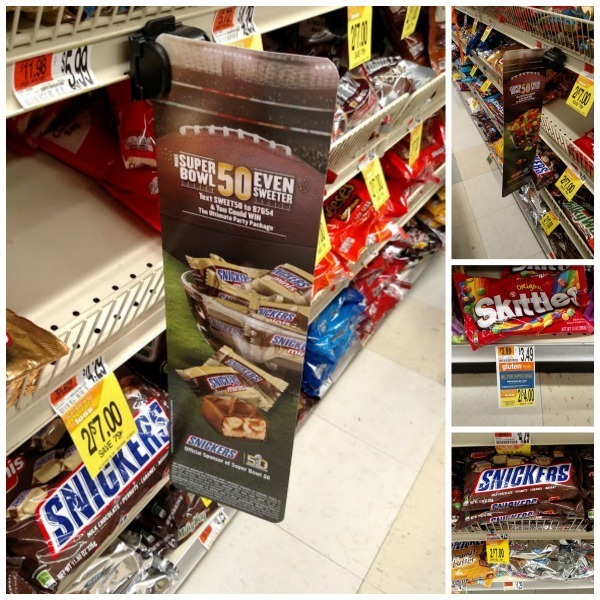 The next time you are at Albertson’s banner stores like Shaw’s, keep an eye out in-store sign promotions from Pepsi, Snickers®, and more! You could win $50,000 or (1) of (50) nflshop.com gift cards every week. Look for specially marked Sweepstakes signs near participating products. Want some more additional Big Game recipe inspiration? 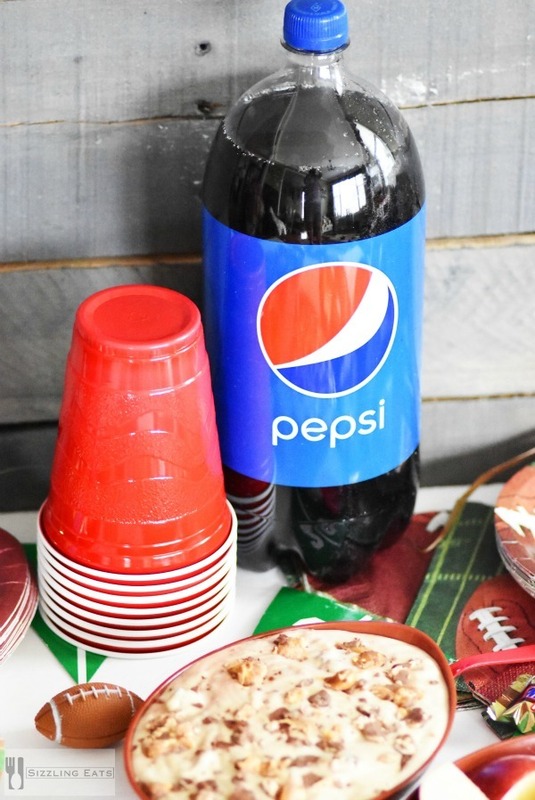 Be sure to check out this Pinterest Board for all the delicious recipe ideas to make you the MVP of your Big Game party. 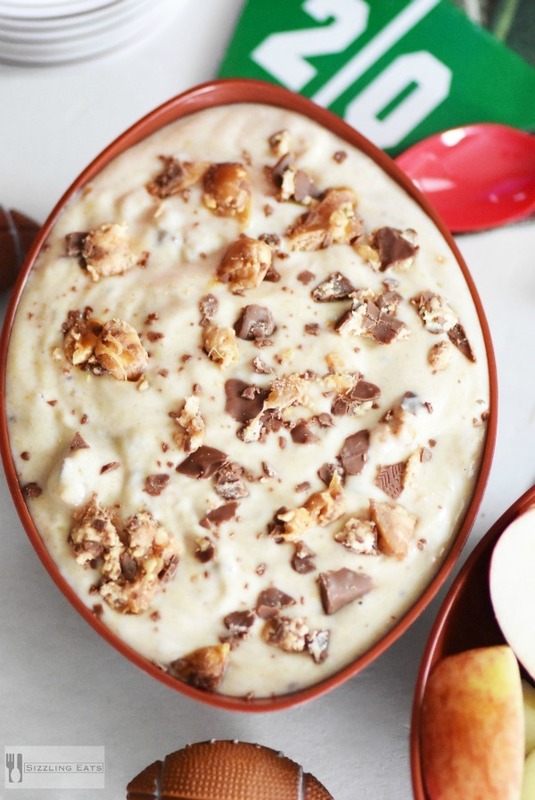 Snickers dip is a favorite in our house. It’s usually the first thing to go when we have people over. That looks delicious. 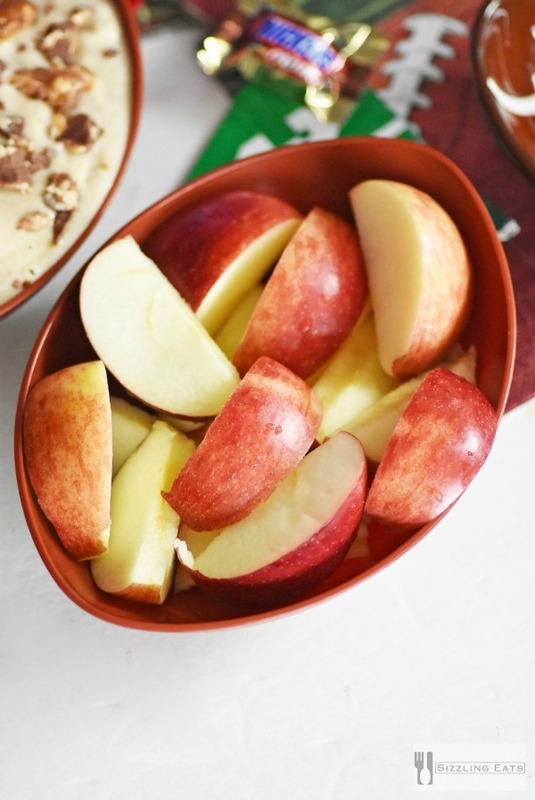 I love dips that I can use with my apple slices. They seem to just take it up a whole other notch. 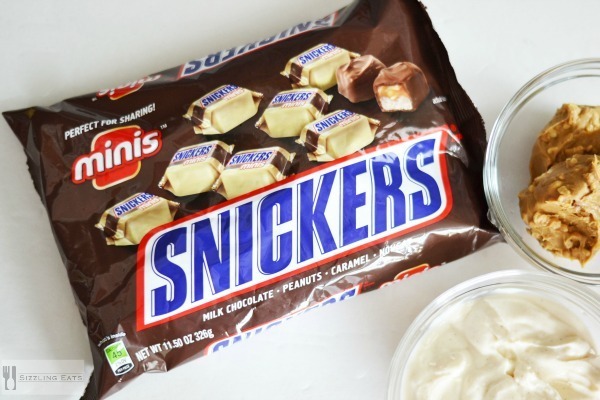 Snickers Blitz Dip would be a huge hit in my house. I am going to have to make it for everyone! Yum! This is a fantastic game night recipe. My kids will love it this weekend when we watch the Hockey game. This looks so delicious i wish i could make some right now. I will have to pick up the ingredients i need to make this as a surprise for the kids. Wow that looks like a great dip. I love Snickers anything to do with it is good to me. Yum! I love Snickers and apples! That looks yummy! Will definitely be making some for the big game! What a great idea. The dip looks amazing! My family will love this, for sure.